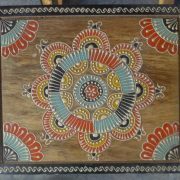 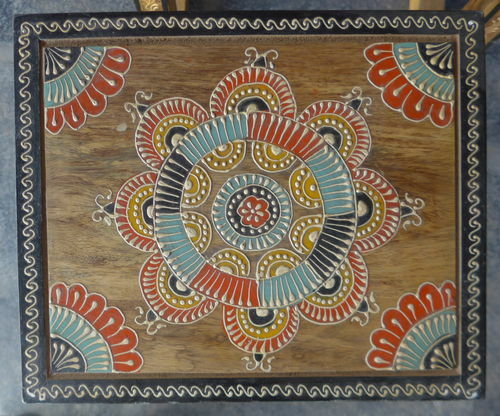 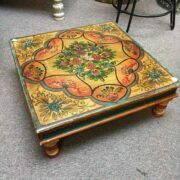 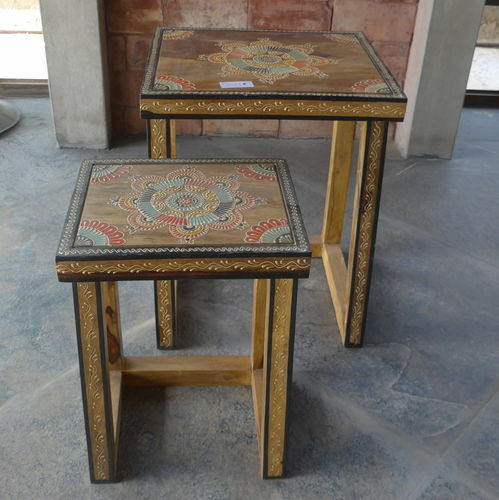 This highly decorated nest of 2-tables are contructed from Indian hardwood and embellished with skilled hand painting designs . These unusual nest of 2-tables with their splayed front legs are sturdily made from native Indian hardwood and highly decorated in free-form patterns and motifs emerging from its centre. 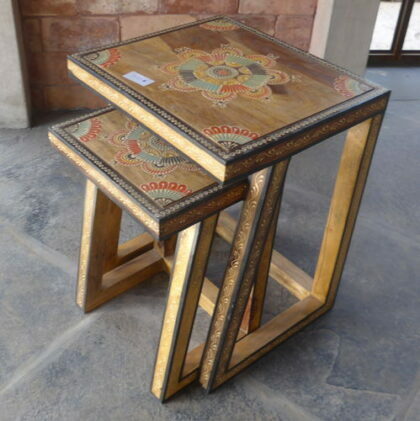 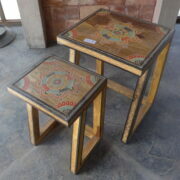 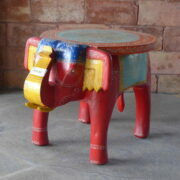 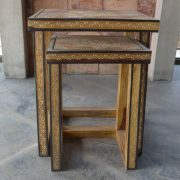 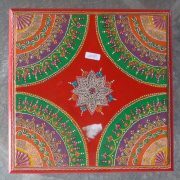 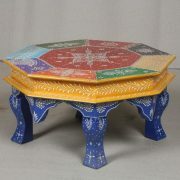 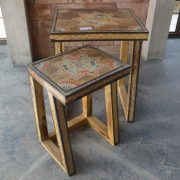 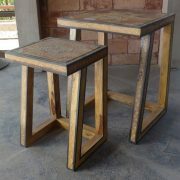 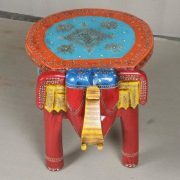 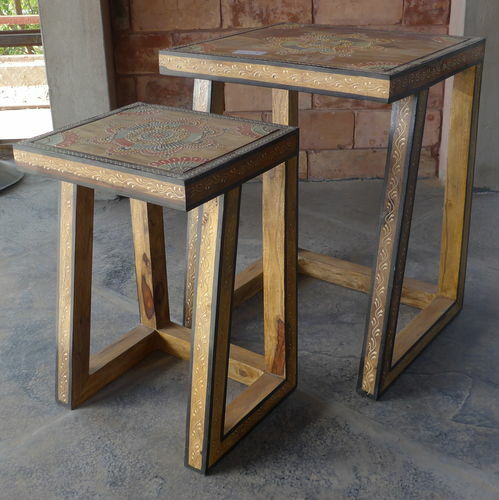 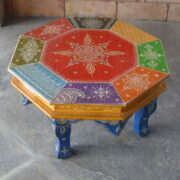 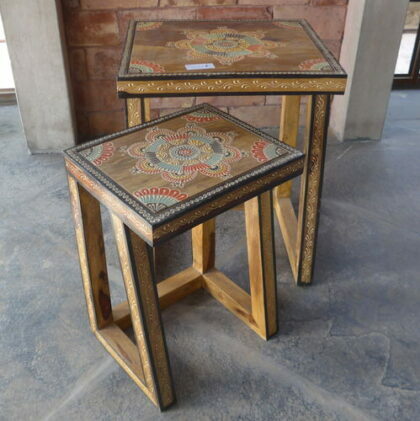 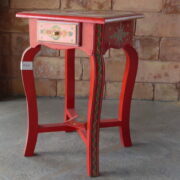 Made in Jodhpur itself by a group of skilled craftsmen and painters, these tables would bring some colour and design to the home interior.